In a few words, we are going to guide you through our detail process from the initial wash to the final stages of the paint correction procedure. First, we inspect the car to determine which package will be most beneficial for your vehicle. 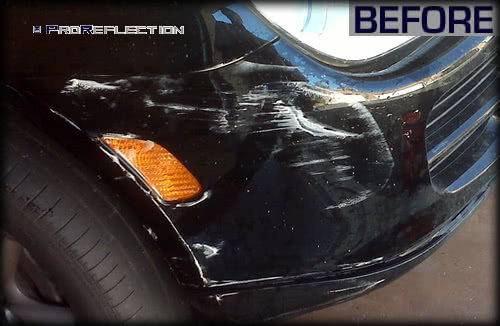 We use different techniques based of the condition of your vehicle. For most of our jobs we use a special two bucket cleaning method. One bucket is for the cleaning solution and the other for clean water. Both buckets are equipped with gritt-guards to trap and floating dirt and debris in the water so that is does not end up back on the vehicle. We dry the car with an air-blower and special water-absorbing, microfiber towels to prevent scratching the paint surface. Based on the condition of the wheels, we may use a wheel cleaner or basic cleaner solution that will not damage the wheel finish. We then apply a wax sealant which leaves a natural and conditioned finish and provides for easier clean up in the future. Next we give the car a claybar treatment which removes contaminants from the paint surface. The paint will have a glass-like surface that will enhance the smooth, round body lines of the car. Claybar treatment is long lasting and will ease future vehicile maintenance. Windows may also receive the claybar treatment with like results. 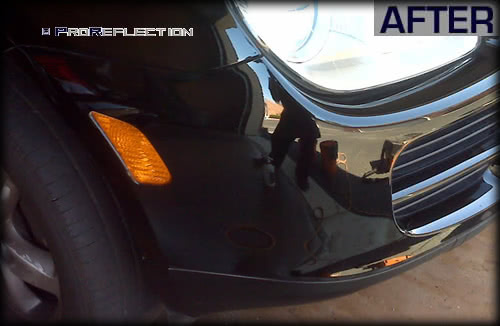 Paint correction is another option which may or may not be needed depending on the condition of your car. So as not to damage any plastic and chrome trim, badges, etc on the car, we will cover these parts in tape for protection from the machine polisher. 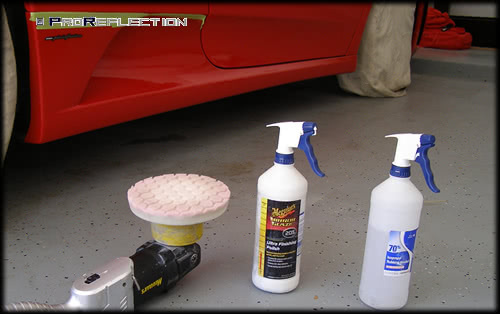 Before approaching any car polish, we perform a 2 x 2 ft test spot on the paint surface to demonstrate the improved end result to the car's finish. This is a multi-step process which requires alternating between polish paste and polish pads. Once we determine the best combination of paste/pads, we move forward with the time consuming process of machine polishing and correcting the full paint of the vehicle. 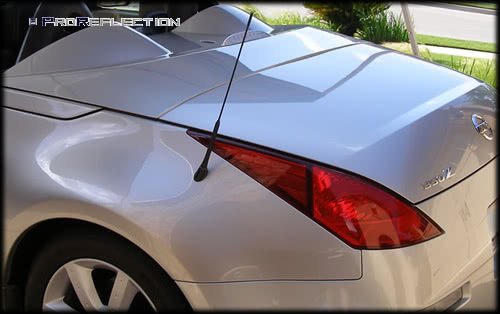 We wipe down your car with alcohol between each polishing step to remove any oils left over by the polishing paste. This is an important step in the process to ensure the surface is oil free and that defects will actually be removed rather than merely filled. 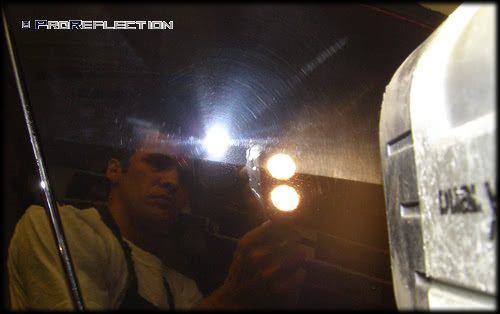 After all the polish and compound steps are over, we inspect the finish and prep the car for the protection process. 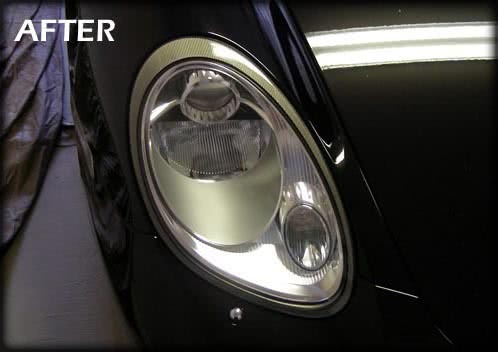 We prefer to use a sealant as a main protection because it last longer than a regular wax. For ultimate protection, we recommend two coats of sealant. • How do I schedule my car for detailing services? You can contact us by email or phone. Please include the year, make, model, and color of your vehicle. We also need to know the condition of your car and the services that interest you. We will contact you as soon as possible, usually one to two business days, to schedule an appointment time that is convenient for you. • What happens at the scheduled appointment? Based on the information you give us regarding your vehicle, we may inspect your car and give you a quote and, if possible, perform the detail that same day or otherwise at the earliest convenience. • Do new or recently purchased used cars need to be detailed? While new and used are prepared to be sold, it is often on a superficial level. A good detail can take your car to the next level; furthermore, you can learn how to maintain your car at this improved level. 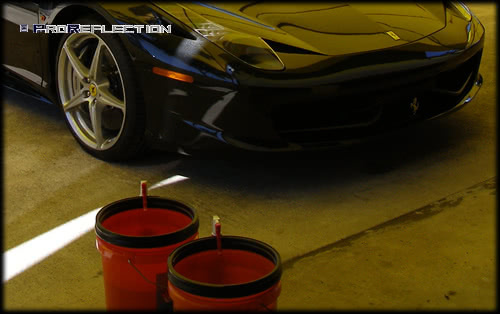 • What is Paint Protection Coating? We use a revolutionary product used to give a semi-permanent second layer of protection to your vehicle after the clear coat. This product has been tested with great long-term results. The coating paint is easy to clean up and can withstand the harsh environment such as water spots, bug debris, tar, car wash soap, dishwasher soap, UV rays, etc. Basically, the car will no longer need any more wax or seal coatings. Your car will have a just-detailed look every time it is washed. The coating is applied directly on the paint, wheels, glass, plastic, and chrome. 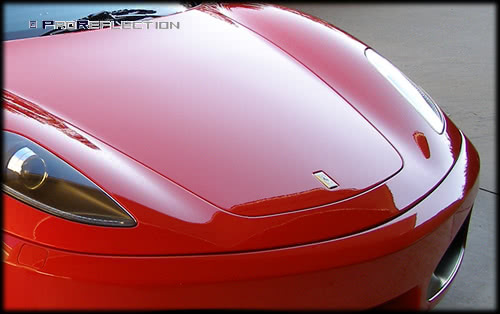 Race cars, trailers, boats, RV and commercial vehicles can also benefit from a paint protection coating. • Do you only work on luxury and exotics cars? We specialize in luxury and exotic vehicles, but we do work on any car and always provide the best service. • What is the claybar treatment and can it harm my car? 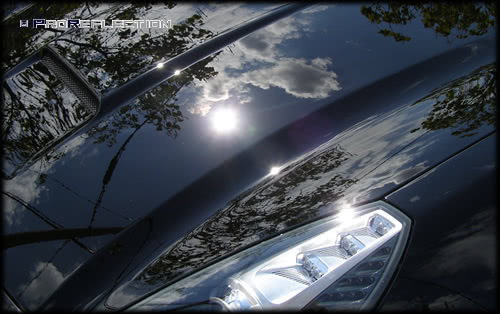 The claybar treatment safely removes contaminants from the paint surface especially the exposed flat panels on the car. 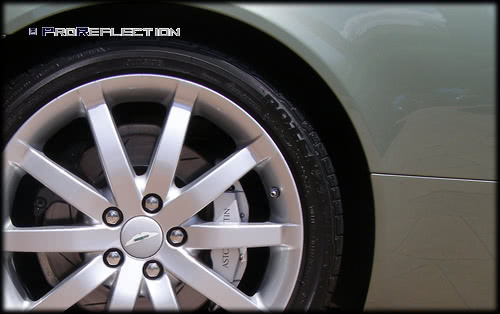 The surface will look and feel as smooth as glass and plays a major role in the polished finish of the vehicle. • What is a gritt-guard? We advise our customers to wash the car with a 2 bucket method. The first bucket is for clean water while the second is for the cleaning solution. Both buckets should have a gritt-guard which is a plastic piece that sits on the bottom of the bucket and traps the floating debris and dirt from the water. This not only achieves an overall cleaner car because the dirt does not end up back on the vehicle but also prevents loose debris from scratching the surface paint. 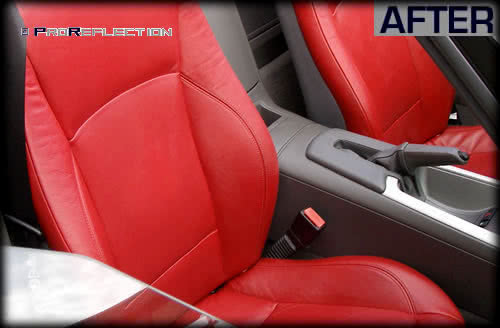 • How do I know if the leather in my car needs cleaning, conditioning, or protection? 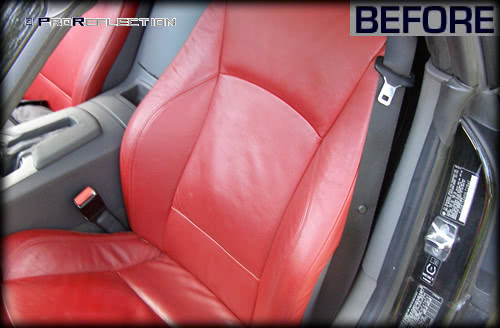 We inspect the leather seats on a case by case basis and may recommend a leather treatment. While seats may look clean and conditioned, they may still be in need of a conditioner to prolong the life of the leather. • How often should I wax my car? Where the car is stored plays a determining factor in how often a vehicle needs to be waxed. A car exposed to the elements will need to be waxed more frequently than a car kept in a garage. 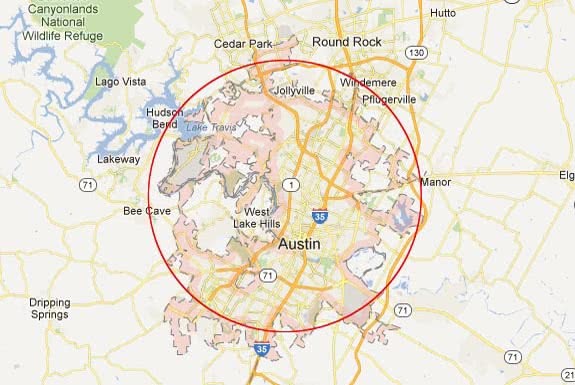 Another factor to consider is how often the car is driven, for what purposes, and in what conditions. 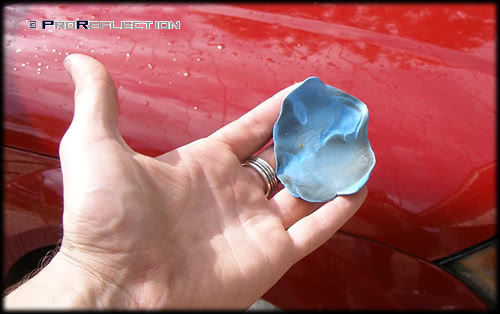 • What can be done about a scuff on my car? • What do I need to remove paint defects? 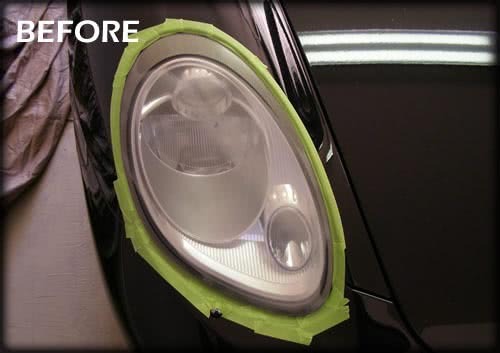 For paint defects, we recommend paint correction which varies in the amount of steps necessary based on the condition of the car. The car may only need a light polish; however, some cars may need a compound and polish. • How do I fix yellowing or foggy headlights? This process involves a wetsand steps whereby we remove the damaged part of the plastic from the lens. We then apply a polish to the lens to leave them in like-new condition as demonstrated below. • Do you offer a maintenance package? Yes, we offer a maintenance package. We create a profile for your car which will include the condition of the vehicle, how the car is used and for what purposes, and what kind of maintenance you would like. We suit the degree of maintenance to your needs and can vary on a weekly, biweekly, monthly, or even seasonal basis. • What is the refund policy for protection film? 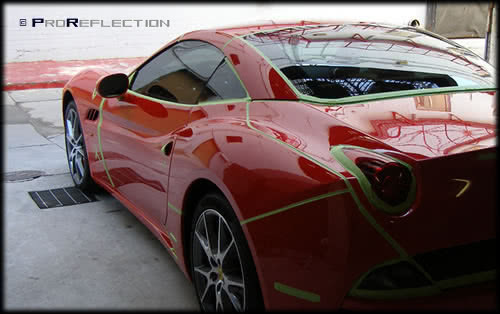 The service for paint protection film install is not refundable, please inspect the car at time of delivery. • How do you clean cloth seats? We use a small extractor and cleaner to clean cloth seats. We make sure to extract all of the cleaning solution from the cloth and leave the seat surface as dry as possible. We are open by appoiment only. We provide mobile car detail to our clients where is convenient for them including a place of business or residence.